During what was early on yesterday afternoon for many of us, astronauts on the ISS reached out into space with a robotic arm and plucked the Dragon re-supply capsule from orbit. It contains plenty of important SCIENCE, but also the most important supply of all: coffee. It’s been days since SpaceX’s Dragon capsule left Earth earlier this week—which certainly seems like a long time for the craft to spend in orbit without getting picked up by the International Space Station. 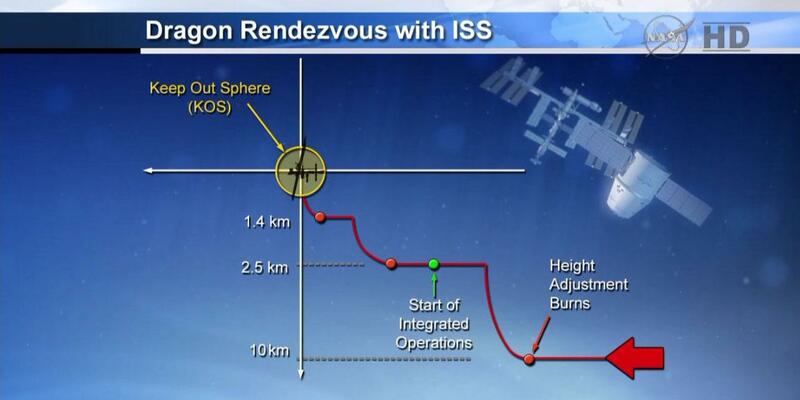 Why does the mission wait before it rendezvouses with the ISS? Soon, astronauts aboard the ISS will get to reenact Christmas morning by unpacking the 1990 kilos of cargo aboard Dragon. Plenty of that deals with the experiments on low-gravity environments that the ISS is doing, along with many other research initiatives that take up so much time aboard the station. 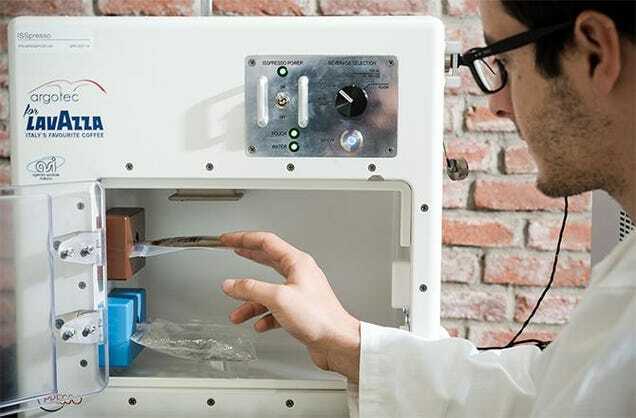 But 500 of those kilos were devoted to food and other provisions for the crew—including the long-awaited espresso machine designed especially for the ISS designed in part by the Italian coffeemaker Lavazza for the Italian astronaut Samantha Cristoforetti. 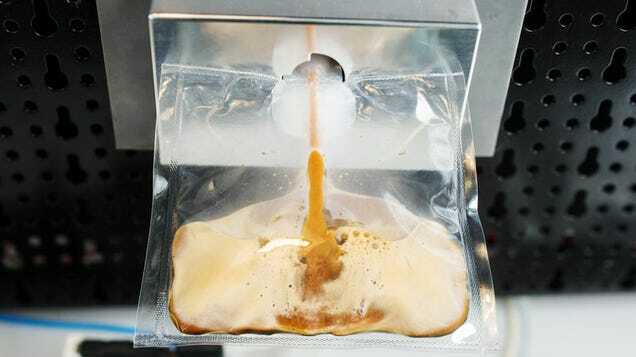 The process of brewing in microgravity doesn’t sound totally foreign: You connect one of the plastic pouches used to drink liquids in microgravity, as well as the coffee or tea pouch, and brew a bit like you would at home. The main difference is how the product is actually consumed, in a clear plastic bag using a special straw. It’s perfect for the astronauts, but NASA’s Vickie Kloeris is anxious. “Each cup has an individual capsule that has to be packaged separately. So there’s a lot of trash and a lot of volume involved in it,” she says. 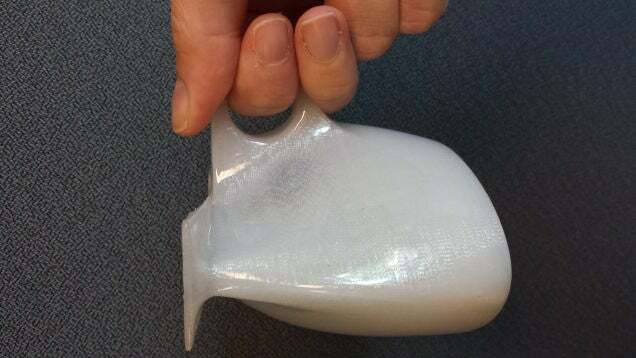 Getting things in and out of space is expensive, and Kloeris says NASA managers are still trying to figure out how to deal with all those finicky plastic pods. When Dragon docked with the ISS yesterday, it was reportedly carrying six of the final prototype cups, one for each of the six crew members. Even in space, you get your own mug. Unpacking Dragon was supposed to begin sometime today, so we won’t have to wait much longer until Cristoforetti and her fellow astronauts report back on the quality of the brew. Lead image: 100 per cent realistic depiction of espresso arriving in Space. Original by @AstroTerry.